Address: Russia, 603057, Nizhny Novgorod, Gagarin Avenue, 27. Grand Hotel “OKA” is located in 5 km from the city center. Parking, wi-fi, restaurant, bar, cafe, swimming pool, beauty salon, spa, luggage storage, air conditioning in the room, sauna, gym, refrigerator, iron, laundry, table tennis. 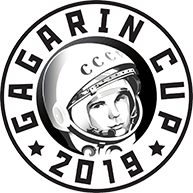 The main motо-auto route to the GAGARIN CUP – 2019: Moscow – Vladimir – Nizhny Novgorod. Distance: 440 km. Address: 123423, Moscow, Nizhnie Mnevniki, 110. Bike-Center. You can also choose airplane to the International airport in Nizhny Novgorod or high-speed train from Moscow. Road Support crew is ready to help You with all the routes’ cuts from You place to the point of start and finish. Feel free to contact us! WE ARE WAITING FOR YOU ON THE ROAD!